Finances: The SIG finances are in in great shape, with a surplus for the second fiscal year in a row, allowing us to recover from some losses in previous years. (SIGCOMM, like many other SIGs, experienced financial losses after 9/11 and the burst of the tech bubble). All of our events broke even or had a surplus. Our current fund balance is just short of $500K, giving us room to take some calculated risks in the coming years. Awards: The SIGCOMM community had an unprecedented year of recognition by ACM Awards. For the first time in its history, the Turing Award went to members of the networking community -- Vint Cerf and Robert Kahn, for their seminal work on TCP/IP and internetworking. ACM also recognized Simon Lam, Raghuram Bindignavle, Sahowen Su, and Thomas Woo with the Software System Award for their work on secure sockets. Jennifer Rexford received the Grace Murray Hopper Award for her work on Internet routing. Two senior members of the SIGCOMM community became ACM Fellows, including Frans Kaashoek and Paul Mockapetris. SIGCOMM also recognized Paul Mockapetris with the SIGCOMM Award for lifetime achievement for his foundational work on the Domain Name System. Technical vibrancy of conferences/workshops: The main SIGCOMM conference and the other events we (co)sponsor -- such as IMC, HotNets, and SenSys -- have continued their traditions as competitive venues publishing the best work in the field. SIGCOMM'04 accepted 31 papers out of 339 submissions and had 496 attendees. IMC'04 accepted 39 papers out of 157 submissions and had 113 attendees. HotNets'04 accepted 24 papers out of 128 submissions and had 71 attendees. SenSys'04 accepted 21 papers out of 145 submissions and had 221 attendees. The scope of papers published in the conferences has been widening, particularly in the areas of wireless and delay-tolerant networks, security, and network management. New workshops/conferences: In the spring of 2005, SIGCOMM held its first SIGCOMM Asia Workshop (http://www.acm.org/sigs/sigcomm/asia/) in Beijing. Based on the success of the first event, we are starting discussions about having another workshop in 2006. 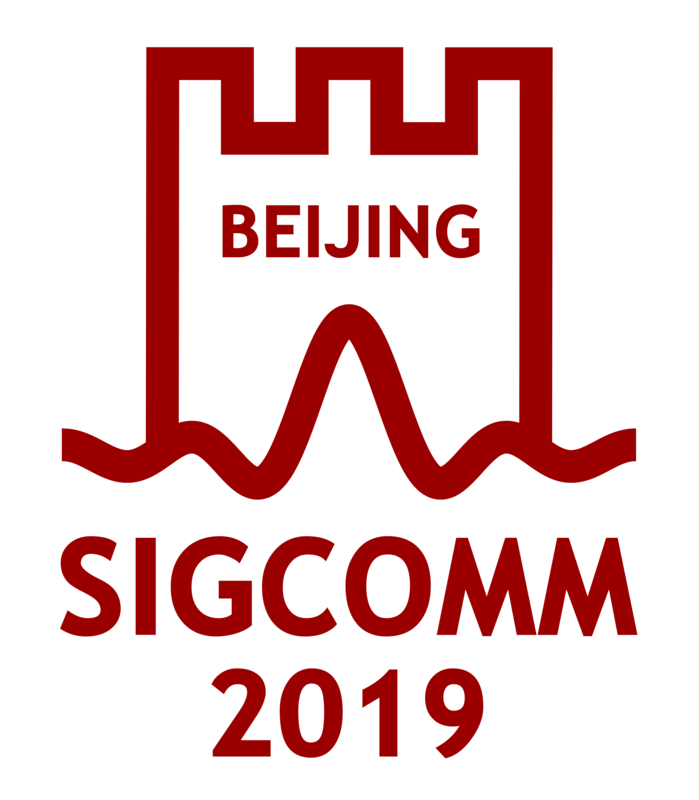 SIGCOMM also got involved as a co-sponsor of the Symposium on Architectures for Networking and Communications Systems, briding the SIGARCH and SIGCOMM communities. The first conference will take place in October 2005. Connecting with Latin America: The Latin America Networking Conference will take place for the third time in October 2005. Although SIGCOMM was the financial sponsor for the event in 2001 and 2003, we have changed to "in cooperation" status for the 2005 event. The 2001 and 2003 events led to large financial losses for the SIG, though the losses were contained in 2003 through more conservative budgetting. To broaden our efforts to connect with the networking community in Latin America, we dedicated $10,000 to fund four junior faculty from Latin America to attend SIGCOMM'05 in Philadelphia. Newsletter: The Computer Communications Review (CCR) -- the SIGCOMM newsletter -- has a new editor, Christophe Diot. Christophe has been making changes in the newsletter format to place more emphasis on rapid publication, and on short papers on work-in-progress and topics of community interest, in addition to the regular reviewed papers. The first few issues in the new format have met with great enthusiasm. Location of the main SIGCOMM conference: Traditionally, the main SIGCOMM conference rotates in a three-year cycle through the west coast of North America, the east coast of North America, and Europe. We have decided to change the rotation cycle to a three-year cycle of North America, Europe, and "Anywhere." That is, the third position in the cycle could take the conference outside North America and Europe. Currently, we are planning to have our first event outside our traditional geography in 2007. Policies for SIGCOMM-sponsored events: During the past several years, SIGCOMM has seeded many new workshops and conferences (one new event per year, on average). To ensure sufficient oversight and to give each event its own culture, a separate steering committee takes responsibility for running each conference/workshop. Yet, questions have started to arise about whether we need to have common policies for some issues, like meeting attendance (e.g., can an event have limited attendance and, if so, with what policies? ), geographic rotation of the event from year to year, and handling of papers describing work that has been published earlier in shorter form (e.g., six-page workshop papers that turn in to 12-page or 14-page conference papers). The SIGCOMM TAC has already had some discussion of these issues, and we plan to involve the larger community at the SIGCOMM business meeting at SIGCOMM'05. ACM Digital Library: SIGCOMM has a policy of making its conference and workshop papers freely available via the Web. With the increasing role of the ACM Digital Library in providing revenue to the SIGs, we need to understand how our policy affects our budget. Given our healthy fund balance, we may not need to be terribly concerned about this issue at this time.